Forming part of the March-April 1917 Samarrah Offensive geared primarily towards the capture of the Turkish railway at Samarrah, the Battle of Jebel Hamlin saw a British-led force attempt to encircle 15,000 Turkish troops led by Ali Ishan Bey retreating from Persia en route to meet up with regional Turkish Commander-in-Chief Khalil Pasha. Led by General Keary the Anglo-Indian force of 8,000 men was concerned to prevent Ali Ishan Bey's force from rendezvousing with Khalil's main force of 10,000 men retreating north from Baghdad, which had fallen to the British on 11 March 1917. 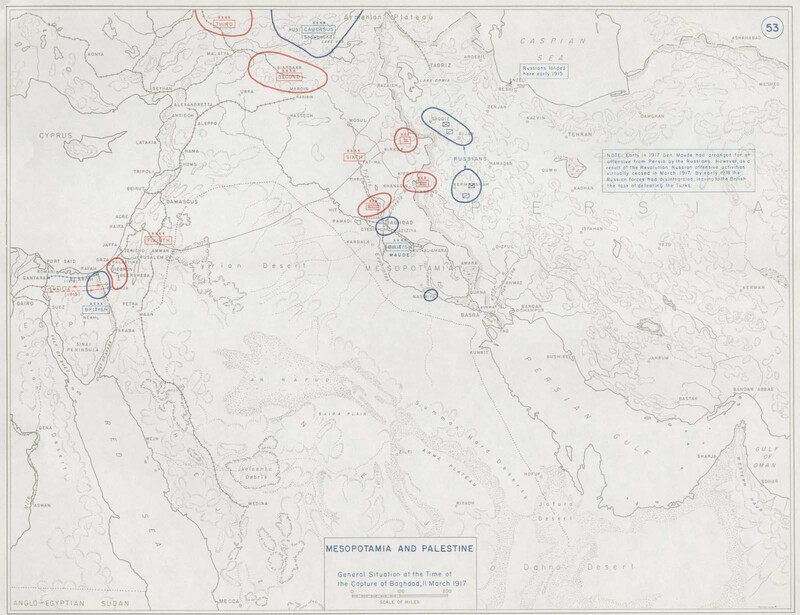 Ishan was himself retreating as a consequence of Russian operations in Persia during March. It was expected by the British that Ishan would attempt to meet up with Khalil's existing force at Baquba, where a Turkish garrison was in place. Consequently Keary's force was despatched on 14 March with Baquba in mind. On 17 March however the garrison at Baquba itself began to withdraw north to meet up with Ishan. Keary, intending to squeeze Ishan's 15,000 men between both his and (he presumed) the pursuing Russian Persian force, shifted towards the new Turkish position at the foot of the Jebel Hamlin mountains. Unbeknownst to Keary however the February Revolution in Russia had broken out, bringing a halt to Russian operations in Persia. In short his was the only force pursuing Ishan - with significant consequences. 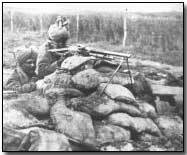 Meanwhile 4,500 men of Ishan's force proceeded to dig secure lines on high ground behind two canals among the mountains. With the path northwest now clear of Turkish forces General Keary continued onwards to meet up with his Russian allies in the first week of April. In the event he found approximately 3,000 discontented Russians apparently unwilling to fight; he therefore promptly turned around and rejoined the main advance upon Samarrah.